“Clubhouse: A Post-Apartheid Story” | Jordan Ink. 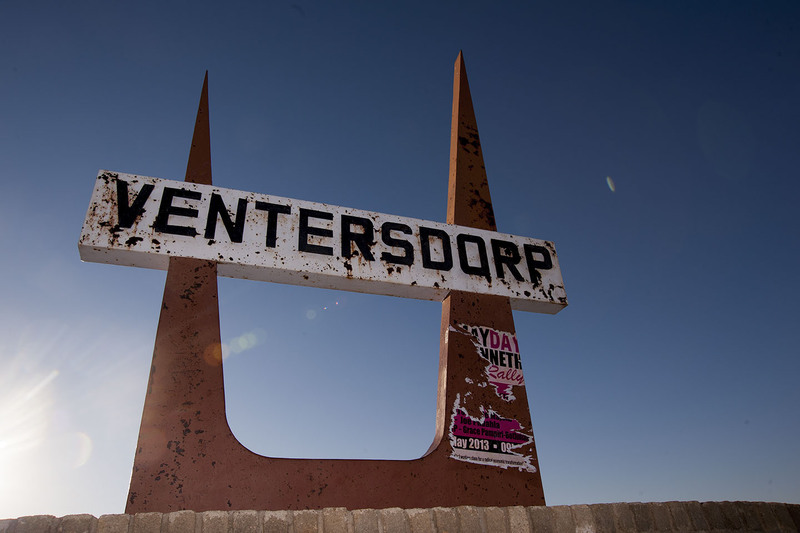 VENTERSDORP, South Africa – Heading into this road-trip to shoot our documentary film on South Africa’s “most racist town,” I have one nagging fear. And the drumbeat will grow louder as the weekend progresses. After all, we’re talking about Ventersdorp – home of Eugene Terre’Blanche and his violent AWB movement. Three loyalists even fought to the death, defending Apartheid. So from this town, which even some local whites are still ashamed to call their own, our film will show smiling white golfers glad-handing black golfers? For the first three-quarters of our weekend in Ventersdorp, during which we’re filming the 2014 Golf Club Championship, we shoot plenty of smiles and glad-handing of Samuel and his buddy, Monte, who joined him on his 15-year crusade to crack the Club’s color-barrier. Danny, weighing the wrath of his compatriots, agrees. We journalists are often criticized for focusing on the negative, for ignoring the positive. Now we’re desperate to do the opposite: dig up dissent. 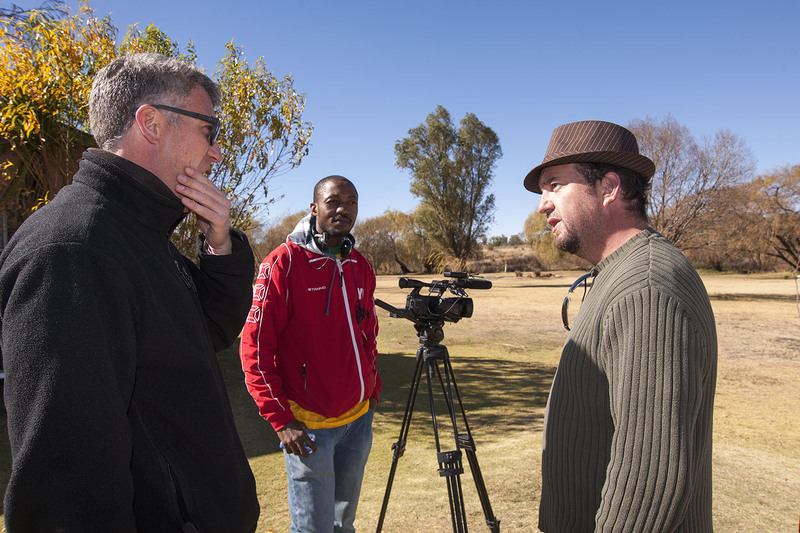 VENTERSDORP, South Africa – I thank Derrick for his time, with sincere gratitude. Getting him to say as much as he just did is a minor coup. Moreover, it now dawns on me. Not only is The Clubhouse drilling deeper into the core of inter-communal relations within this one infamous farming town – and extracting some illuminating evidence of racial healing and black empowerment. Now, thanks to Derrick’s angry slip of the tongue, we have a cliff-hanger, too. Will they? … Or won’t they? Will the Golf Club investigate the incident? And mete out tough punishment? Will Derrick offer an apology? Will he do so willingly? Or unwillingly? Even then, will Sam accept it? Will he be placated by how Club leaders deal with this nasty episode? Or, disgruntled, will he make good on his threat – and quit? Likewise, if Charles is disappointed by his colleagues’ verdict, will he also quit? 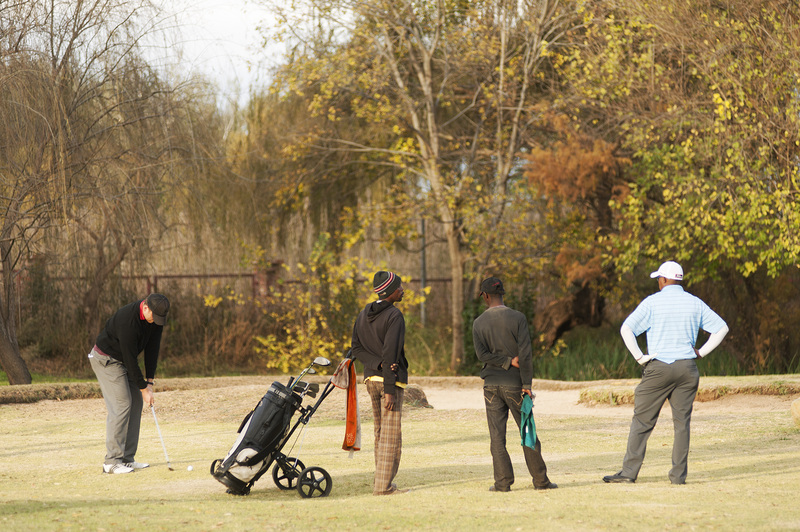 VENTERSDORP, South Africa – It’s not hard to figure out which golfer bellowed that dreaded insult, kaffir. This fellow, Derrick, had already sent our crew a negative vibe, standing out from the friendlier folks with his gruffness. I hadn’t yet met him, but now need to confront him, respectfully: Why’d you use that word? And what will you do now? I ask around at the Club for his phone number, explaining that I want to give Derrick a fair chance to explain his actions. Defend himself. Maybe, express remorse. I don’t look forward to a combative call, though I prefer it to a gotcha-journalism that might force me to drive out to his farm. Where he may slam a door in my face. Or, greet me by the barbwire with snarling dogs and loaded shotgun. It’s a possibility, in a town that’s seen several white farmers killed in recent years. Finally, on Tuesday morning, I get around to calling Derrick – 36 hours after the Sunday-afternoon incident. Minimally, I want reaction. Even a raging No comment! and abrupt hang-up is still a comment. It speaks volumes, no less. Fortunately, my cameraman is a seasoned hand. He suggests, brilliantly: If you’re going to call him, let’s get the mic on you, put him on speaker – and film it. As the phone rings for Derrick, my heart beats faster. A touch of anxiety. I need this potentially reluctant source to talk – and say something of real value. And boy, does Derrick talk. Although, not at first. 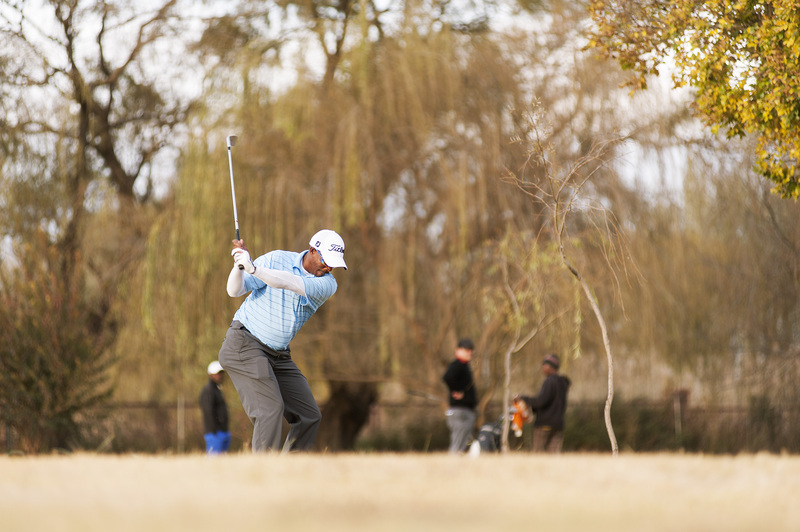 VENTERSDORP, South Africa – Facing a fork in the road, white leaders of the Ventersdorp Golf Club beat their chests in despair and howled to the heavens. 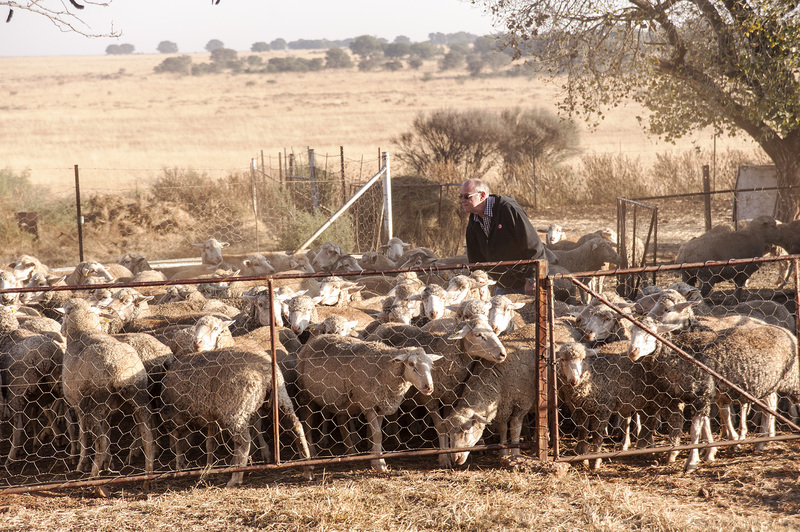 VENTERSDORP, South Africa – In 2009, Allan Jones, a successful sheep farmer and progressive town councilman, was elected President of the Ventersdorp Golf Club. And as The Clubhouse describes, Allan is also the local mover-and-shaker who would soon play the pivotal role in steering the whites-only Club to finally admit Sam and Monte as their first black members. A mere 15 years after Apartheid. Allan seems an unlikely revolutionary – until you learn his back-story. During Apartheid, though he enjoyed the privilege of white skin, he also felt “marginalized” amid the white reign over the black majority. Reared in this heartland of Afrikaans-speaking Boers, who trace their roots to the hardy voortrekker pioneers of the 19th century, Allan instead descends from “the English” who later settled in the region. Meanwhile, unlike the conservative Boers, Allan belongs to the Methodist church: one of the few places during Apartheid where blacks and whites sat as equals. He bought into The Clubhouse – and cleared with Club leaders our full access to the golf championship. So at this moment, with us reacting to a dramatic twist to our story, it’s Allan I seek out. Again, to grease the wheels of Club cooperation. VENTERSDORP, South Africa – As we race back to the Golf Club, my mind churns with strategies and tactics for how to “cover” this story. The white leadership granted us unfettered access to the course, the clubhouse, and the championship itself – trusting our intent to highlight actual positive progress in their infamous hometown. Yet now a K-word grenade has exploded in their faces. For a white to spew kaffir at a black in “The Rainbow Nation,” twenty years after Apartheid – well, those are fighting words. Or worse. On the golf course, no less? Yet it’s now past 5 in the afternoon, the golf tournament is winding down, and our natural light is dissolving. But here we are, car-bound, our crew and gear rattling over the ever-present potholes of provincial South Africa. A few streets from the Club, we spot two of the black caddies, done for the day, walking along the road. Screeching to a stop, we bounce out and switch on the camera. Both caddies are about 40, though their weather-beaten faces made them look much older. 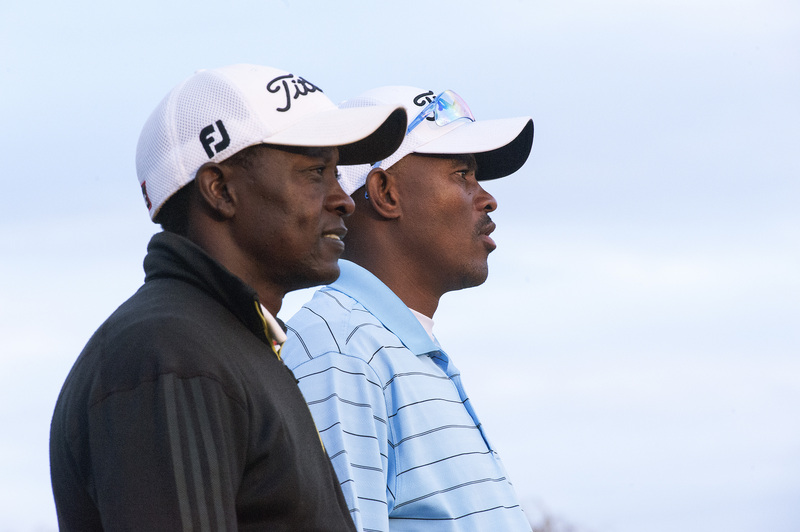 They began caddying in their early teens – during Apartheid, just like our black golfer-heroes, Samuel and Monte. However, while those two are now full-fledged members of the Club – and solidly middle-class – these two fellows are still just caddies. Hovering near the bottom rung of society. Their skin color no longer keeps them out of The Clubhouse; only their empty pockets do. In a mix of English, Afrikaans and their native Setswana, they describe what happened on the course, expressing anguish that it’s been a “very long time” since they last heard the k-word – and spit with such venom. Fellow caddy Phillip Mazwi goes further, demanding justice. As we park back at the Club, I tell my cameraman: Keep the camera rolling. VENTERSDORP, South Africa – It’s late in the day, and we’re losing daylight. My documentary-film partner is leading one camera crew, while I lead our second. My phone rings, as I’m driving. After 20 years as a foreign correspondent, it’d take a lot to rattle me. In fact, I love the challenge of adapting, of switching gears, under pressure. Especially when you’re on the ground, when time is precious – indeed, when time is money. One thing I’m learning from documentary film, just as I’ve learned over the years from “parachute” reporting into 30 countries: not even a well-hatched plan goes according to plan. So when the inevitable crisis strikes, how do you handle it? No, you don’t panic and throw in the towel – You’re a professional, dammit! Your reputation is at stake. Even the university student or young journalist who’s serving as your interpreter is watching you, studying your response. The range of crises is vast.